1.Bowen Xiao,Ying Fan*, Xiaodan Guo. 2018. Exploring the macroeconomic fluctuations under different environmental policies in China: A DSGE approach. Energy Economics, 76(2018): 439-456. 2.Jianlei Mo, Joachim Schleich,Ying Fan*. 2018. Getting ready for future carbon abatement under uncertainty - Key factors driving investment with policy implications.Energy Economics, 70: 453-464. 3.Qiang Ji,Ying Fan, Mike Troilo, Ronald Ripple, Lianyong Feng. 2018. China's Natural Gas Demand Projections and Supply Capacity Analysis in 2030.The Energy Journal, 39(6): 53-70. 4.Hongbo Duan, Jianlei Mo,Ying Fan, Shouyang Wang. 2018. Achieving China's energy and climate policy targets in 2030 under multiple uncertainties.Energy Economics, 70: 45-60. 5.Hong-guang Nie, Rene Kemp, Jin-hua Xu, Veronique Vasseur,Ying Fan*. 2018. Drivers of urban and rural residential energy consumption in China from the perspectives of climate and economic effects.Journal of Cleaner Production, 172: 2954-2963. 6.Hongbo Duan, Gupeng Zhang, Shouyang Wang,Ying Fan. 2018. Balancing China's climate damage risk against emission control costs.Mitigation and adaptation strategies for global change. 23: 387-403. 7.Hongbo Duan, Gupeng Zhang, Shouyang Wang,Ying Fan. 2018. Peer interaction and learning: Cross-Cluntry diffusion of solar photovoltaic technology,Journal of Business Research, 89(2018): 57-66. 11.Ying Fan, Jun-Jun Jia, Xin Wang, Jin-Hua Xu. 2017.What policy adjustments in the EU ETS truly affected the carbonprices?Energy Policy, 103: 145-164. 12.Ying Fan, Bin-Bin Peng, Jin-Hua Xu. 2017. The effect of technology adoption onCO2 abatement costs under uncertainty in China's passenger car sector.Journal of Cleaner Production, 154:578-592. 25.Qiang Ji,Ying Fan. 2016. Modelling the joint dynamics of oil prices and investor fear gauge.Research in International Business and Finance, 37, 242-251. 37.Jian-Lei Mo, Joachim Schleich, Lei Zhu,Ying Fan*. 2015. Delaying the introduction of emissions trading systems–Implications for power plant investment and operation from a multi-stage decision model.Energy economics, 52: 255-264. 38.Qiang Ji,Ying Fan*. 2015. Dynamic integration of world oil prices: A reinvestigation of globalization vs. regionalization.Applied Energy, 155:171-180. 39.YanXia,Ying Fan*, Cuihong Yang. 2015. Assessing the impact of foreign content in China’s exports on the carbon outsourcing hypothesis.Applied Energy, 150:296-307. 40.Jing-Yu Liu, Shih-Mo Lin, Yan Xia, Ying Fan, Jie Wu. 2015. A financial CGE model analysis: Oil price shocks and monetary policy.Economic Modelling,51:534-543. 41.Faheemullah Shaikh, Qiang Ji,Ying Fan. 2015.The diagnosis of an electricity crisis and alternative energy development in Pakistan.Renewable and Sustainable Energy Reviews, 52:1172-1185. 42.Qiang Ji, Ming-Lei Liu, Ying Fan. 2015. Effects of structural oil shocks on output, exchange rate and inflation in the BRICS countries: A Structural Vector AutoregressionApproach.Emerging Markets Finance and Trade, 51(6): 1129-1140. 43.Hai-Ying Zhang, Qiang Ji,Ying Fan. 2015. What drives the formation of global oil trade patterns? Energy Economics, 49(5): 639-648. 44.Sen-Sen Chen, Jin-Hua Xu,Ying Fan. Evaluating the effect of coal mine safety supervision system policy in China’s coal mining industry: A two-phase analysis.Resources Policy, 46(12): 12-21. 45.Binbin Peng, Huibin Du*, Shoufeng Ma,Ying Fan,David C. Broadstock.2015.Urban passenger transport energy saving and emission reduction potential: A case study for Tianjin, China.Energy Conversion and Management, 102(9): 4-16. 46.Lei Zhu, Zhongxiang Zhang,Ying Fan. 2015.Overseas oil investment projects under uncertainty: how to make informed decisions?Journal of Policy Modeling,37:742-762. 47.Lei Zhu, Hong-Bo Duan,Ying Fan*. 2014.CO2 mitigation potential of CCS in China - an evaluation based on an integrated assessment model.Journal of Cleaner Production,103: 934-947. 48.Hong-Bo Duan, Lei Zhu,Ying Fan*. 2015. Modelling the evolutionary paths of multiple carbon-free energy technologies with policy incentives.Environmental Modeling and Assessment, 20(1): 55-69. 54.Jin-Hua Xu,Ying Fan*, Song-Min Yu. 2014. Energy conservation and CO2 Emission reduction inChina’s 11th Five-Year Plan: A performance evaluation.Energy Economics, 46(6): 348-359. 55.Lian-Biao Cui,Ying Fan*, Lei Zhu, Qing-Hua Bi. 2014.How Will the Emissions Trading Scheme Save Cost for Achieving China’s 2020 Carbon Intensity Reduction Target?.Applied Energy, 136(12): 1043-1052. 56.Lian-Biao Cui,Lei Zhu,Marco Springmann,Ying Fan*. 2014. Design and Analysis of the Green Climate Fund.Journal of System Science and System Engineering, 23(3): 266-299. 57.Hong-Bo Duan, Lei Zhu,Ying Fan*. 2014.A cross-country study on the relationship between diffusion of wind and photovoltaic solartechnology.Technological Forecasting & Social Change, 83(3): 156-169. 58.Hong-Bo Duan, Lei Zhu,Ying Fan. 2014.Optimal carbon taxes in carbon constrained China: Alogistic-induced energy economic hybridmodel.Energy, 69(5): 345-356. 59.Jiang-Bo Geng, Qiang Ji,Ying Fan. 2014. A dynamic analysis on global natural gas trade network.Applied Energy, 132(11): 23-33. 60.Qiang Ji, Jiang-Bo Geng,Ying Fan.2014.Separated influence of crude oil prices on regional natural gas import prices.Energy Policy, 70(7): 96-105. 61.Qiang Ji, Hai-Ying Zhang,Ying Fan*. 2014.Identification of global oil trade patterns:an empirical research based on complex network theory.Energy Conversion and Management, 85: 856-865. 62.Jin-Hua Xu,Ying Fan*. 2014.An individual risk assessment framework for high-pressure natural gas wells with hydrogen sulphide, applied to a case study in China.Safety Science, 68(7):14-23. 63.Jin-Hua Xu,Tobias Fleiter,Ying Fan*, Wolfgang Eichhammer. 2014.CO2 emissions reduction potential in China's cement industry compared to IEA's CementTechnology Roadmap up to 2050.Applied Energy, 130(10): 592-602. 64.Mian Yang,Ying Fan, Fuxia Yang, Hui Hu. 2014.Regional disparities in carbon dioxide reduction from China’s uniformcarbon tax: A perspective on interfactor/interfuel substitution.Energy,74(9): 131-139. 65.Shang-Jun Ying,Ying Fan*. 2014.Complexity in the Chinese stock market and its relationship swith monetary policy intensity.Physica A, 394(2): 338-345. 66.Hai-Ying Zhang, Qiang Ji,Ying Fan. 2014. Competition, transmission and pattern evolution: A network analysis of global oil trade.Energy Policy, 73:312-322. 69.Ying Fan*, Jian-Lei Mo, Lei Zhu. 2013.Evaluating coal bed methane investment in China based on a real options model.Resources Policy, 38(1):50-59. 70.Feng-Long Ge,Ying Fan. 2013. Quantifying the Risk to Crude Oil Imports in China: An Improved Portfolio Approach.Energy Economics, 40(11): 72-80. 71.Lei Zhu,Ying Fan. 2013.Modelling the Investment in Carbon Capture Retrofits of PulverizedCoal-Fired Plants.Energy, 57(8): 66-75. 72.Feng-Long Ge,Ying Fan. 2013.A System Dynamics Model of Coordinated Development of Central and Provincial Economy and Oil Enterprises.Energy policy, 60(9): 41-51. 73.Lin-Ju Chen, Lei Zhu,Ying Fan*and Sheng-Hua Cai. 2013. Long-term impacts of carbon tax and feed-in tariff policies on China’s generating portfolio and carbon emissions: a multi-agent-based analysis.Energy & Environment, 24(7,8): 1271-1293. 74.Yan Xia,Ying Fan*, Jie Wu. 2013.Analysis of low-carbon production chains towards China’s CO2 emission reduction targets for 2020.Singapore Economic Review, 58(3): 1350021 - 1~18. 75.Yi Zhang, Yan Xia,Ying Fan. 2013. How CO2 emissions structure evolves with the process of industrialisation.International Journal of Global Environmental Issues (IJGEnvI), 13(1):43-63. 76.Hai-Ying Zhang, Qiang Ji,Ying Fan*. 2013.An Evaluation Framework for Oil Import Security Based on the Supply Chainwith a Case Study Focused on China.Energy Economics, 38: 87-95. 77.Ming-Lei, Liu, Qiang Ji,Ying Fan. 2013. How does oil market uncertainty interact with other markets? An empirical analysis of implied volatility index.Energy, 55(6): 860-868. 78.Hong-Bo Duan,Ying Fan, Lei Zhu. 2013.What’s the most cost-effective policy of CO2 targeted reduction:An application of aggregated economic technological model with CCS?Applied Energy,112(12): 866-875. 83.Ying Fan, Yan Xia. 2012. Exploring energy consumption and demand in China.Energy, 40(1):23-30. 84.Qiang Ji,Ying Fan. 2012. How does oil price volatility affect non-energy commodity markets?.Applied Energy, 89(1): 273-280. 85.Lei Zhu, Xiao-Bing Zhang andYing Fan. 2012. A Non-Linear Model for Estimating the Cost of Achieving Emission Reduction Targets: the Case of the US, China and India.Journal of System Science and System Engineering, 21(3): 297-315. 86.Jin-Hua Xu, Tobias Fleiter, Wolfgang Eichhammer andYing Fan. 2012. Energy consumption and CO2 emissions in China's cement industry: A perspective from LMDI decomposition analysis.Energy Policy, 50(11):821-832. 87.Junsong Jia,Ying Fan, Xiaodan Guo. 2012. The low carbon development (LCD) levels’ evaluation of the world’s 47 countries (areas) by combining the FAHP with the TOPSIS method.Expert Systems with Applications, 39(7): 6628-6640. 88.Baichen Xie,Ying Fan, Qianqian Qu. 2012. Does generation form influence environmental efficiency performance? An analysis of China’s power system.Applied Energy, 96(8):261-271. 89.Jian-Lei Mo, Lei Zhu,Ying Fan. 2012. The impact of the EU ETS on the corporate value of European electricity corporations.Energy, 45(1):3-11. 92.Ying Fan, Jin-Hua Xu. 2011. What has driven oil prices since 2000? A structural change perspective.Energy Economics, 33(6):1082-1094. 93.Ying Fan, Lei Zhu, Xiao-Bing Zhang. 2011. Analysis of Global CCS Technology, Regulations and Its Potential for Emission Reduction with Focus on China.Advances in climate change research, 2(2):57-66. 94.Lei Zhu,Ying Fan. 2011. 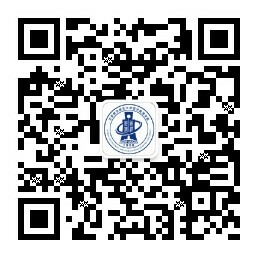 A real options based CCS investment evaluation model: case study of China’s power generation sector.Applied Energy. 88(12): 4320-4333. 95.Qiang Ji,Ying Fan. 2011. A Dynamic Hedging approach for Refineries in Multiproduct Oil Markets.Energy, 36(2): 881-887. 96.Xiao-Dan Guo, Lei Zhu,Ying Fan, Bai-Chen Xie. 2011. Evaluation of potential reductions in carbon emissions in Chinese provinces based on environmental DEA.Energy Policy, 39(5):2352-2360. 97.Xiao-Bing Zhang,Ying Fan. 2011. Analysis of optimal acquisition strategy and cost estimation for China’s strategic petroleum reserve.Int. J. Global Energy Issues, 35(1): 24-42. 99.Ying Fan, Lei Zhu. 2010. A real options based model and its application to China's overseas oil investment decisions.Energy Economics, 32(3): 627-637. 100.Ying Fan, Xiao-Bing Zhang. 2010. Modelling the strategic petroleum reserves of China and India by a stochastic dynamic game.Journal of Policy Modeling. 32(4): 505-519. 101.Lei Zhu,Ying Fan. 2010.Optimization of China’s Generating Portfolio and Policy Implications Based on Portfolio Theory.Energy, 35(3): 1391-1402. 102.Ying Fan, Xiaobing Zhang, Lei Zhu. 2010. Estimating the Macroeconomic Costs of CO2 Emission Reduction in China Based on Multi-objective Programming.Advances in Climate Change Research (English edition), 1(1):27-33. 106.Ying Fan, Shang-Jun Ying, Bing-Hong Wang, Yi-Ming Wei. 2009. The effect of investor psychology on the complexity of stockmarket: An analysis based on cellular automaton model.Computers & Industrial Engineering, 56(1): 63-69. 107.Xiao-Bing Zhang,Ying Fan, Yi-Ming Wei. 2009. A model based on stochastic dynamic programming for determining China’s optimal strategic petroleum reserve policy.Energy Policy, 37(11):4397:4406. 109.Hua Liao,Ying Fan. 2009. China targets 20% reduction in energy intensity by 2010.Int. J. Global Energy Issues, 31(1): 10-17. 110.Ling-Yun He,Ying Fan. 2009.Impact of speculator’s expectations of returns and time scales of investment on crude oil price behaviors.Energy Economics, 31(1):77-84. 111.Ying Fan, Qiang Liang. 2008. A generalized pattern matching approach for multi-step prediction of crude oil price.Energy Economics,30(3): 889-904. 112.Ying Fan, Yue-Jun Zhang, Hsien-Tang Tsai. 2008. Estimating ‘Value at Risk’ of crude oil price and its spillover effect using the GED-GARCH approach.Energy Economics, 30(6): 3156-3171. 113.Yue-Jun Zhang,Ying Fan, Hsien-Tang Tsai. 2008. Spillover effect of US dollar exchange rate on international crude oil price: An empirical analysis.Journal of Policy Modeling, 30(6):973-991. 116.Norio Okada, Wei-Bin Yu,Ying Fan, Hiroshi Tsuno. 2008. Probabilistic exposure assessment to total trihalomethanes in drinking water: an EVT method.Int. J. Risk Assessment and Management, 8(4): 424-432. 117.Cai-Hua Xu, Ji-Ping Hu,Ying Fan. 2008. Forecast on The Growth Climate of Chinas Passenger Vehicle Ownership.Int. J. Foresight and Innovation Policy, 4(3/4): 348-358. 118.Rong-Gang Cong, Yi-Ming Wei, Jian-Ling Jiao,Ying Fan. 2008. Relationships between oil price shocks and stock market: An empirical analysis from China.Energy Policy, 36(9): 3544-3553. 119.Ying Fan, Qiao-Mei Liang,etc. 2007. A model for China’s energy requirements and CO2 emissions analysis.Environmental Modeling & Software, 22(3): 378-393. 120.Ying Fan, Lan-Cui Liu, Gang Wu, Hsien-Tang Tsai. 2007. Changes in carbon intensity in China: Empirical findings from 1980-2003.Ecological Economics, 62(3/4):683-691. 121.Ying Fan, Hua Liao. 2007. Can Market Oriented Economic Reforms Contribute to Energy Efficiency Improvement? Evidence from China.Energy Policy, 35(4):2287-2295. 122.Ying Fan, Rui-Guang Yang. 2007. A system dynamics based model for coal investment.Energy, 32(6): 898-905. 123.Ying Fan, Jian-Ling Jiao, Qiao-Mei Liao, Zhi-yong Han. 2007. The impact of rising international crude oil price on China’s economy: an empirical analysis with CGE model.Int. J. Global Energy Issues, 27(4):404-424. 124.Ying Fan, Ya-Wen Fan. 2007. Empirical analysis of rural household energy consumption in China.Int. J. Global Energy Issues, 27(4):442-453. 125.Qiao-Mei Liang,Ying Fan. 2007. Carbon taxation policy in China: How to protect energy- and trade-intensive sectors?Journal of Policy Modeling, 29(2):311-333. 126.Qiao-Mei Liang,Ying Fan. 2007. Multi-regional input–output model for regional energy requirements and CO2 emissions in China.Energy Policy, 35(3): 1685-1700. 127.Jian-Ling Jiao,Ying Fan,etc. 2007. Analysis of the co-movement between Chinese and international crude oil price.Int. J. Global Energy Issues, 27(1):61-76. 128.Hua Liao,Ying Fan. 2007. What induced China’s energy intensity to fluctuate: 1997-2006?Energy Policy, 35(9): 4640-4649. 129.Lan-Cui Liu,Ying Fan, Gang Wu. 2007. Using LMDI Method to Analyze the Change of China’s Industrial CO2 Emissions from Final Fuel Use: An Empirical Analysis.Energy Policy, 35(11): 5892-5900. 130.Zhi-Yong Han,Ying Fan, Jian-Ling Jiao. 2007. Energy structure, marginal efficiency and substitution rate: An empirical study of China.Energy, 32(6): 935-942. 131.Ling-Yun He,Ying Fan. 2007. The empirical analysis for fractal features and long-run memory mechanism in petroleum pricing systems.Int. J. Global Energy Issues, 27(4): 492-502. 135.Ying Fan and Jian-Ling Jiao. 2006. An improved historical simulation approach for estimating ‘Value at Risk’ of crude oil price.Int. J. Global Energy Issues,25(1/2): 83-93. 136.Ying Fan, Lan-Cui Liu, Gang Wu, Norio Okada. 2006. Analyzing Impact Factors of CO2 Emissions Using the STIRPAT Model.Environmental Impact Assessment Review, 26(4): 377-395. 137.Jiu-Tian Zhang,Ying Fan. 2006. An empirical analysis for national energy R&D expenditures.Int. J. Global Energy Issues,25(1/2): 141–159. 147.Jian-Ling Jiao,Ying Fan, Jiu-Tian Zhang. 2005. The analysis of the effect of OPEC oil price to the World oil price.Journal of Systems Science and Information,3(1):113-125. 149.Ying Fan. 2004. Application of VaR methodology to risk management in the stock market in China.Computers & Industrial Engineering, 46(2): 383-388. 150.余炜彬,范英. 2004. Brent原油期货市场的协整性分析.数理统计与管理, 23(5): 26-32. 154.Zhi-Yong Han,Ying Fan. 2004. Study on the cointegration and causality between GDP and energy consumption in China.International Journal of Global Energy Issues, 22(2/3/4): 225-232. 157.Ying Fan. 2000. Study on the Framework of Risk Management System for Commercial Bank.Chinese Journal of Mechanical Engineering, 13 (Supplement): 83-88. 158.范英. 2000. VaR方法及其在股市风险分析中的应用初探.中国管理科学, 8(3): 26-32.